I, for one, am glad that there are people in this world that care enough to preserve “special treasures”. Maybe it’s just “nostalgia”, or maybe it’s “history”, or I guess you could put any number of different tags on it, but the bottom line is that there are just some things worth saving, I think (and obviously, so do others). 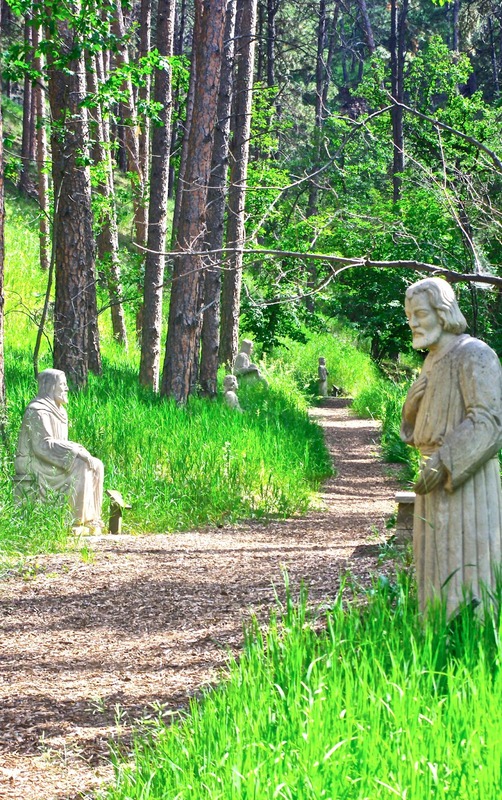 Just outside of Rapid City is a wonderful historical church called Chapel in the Hills. 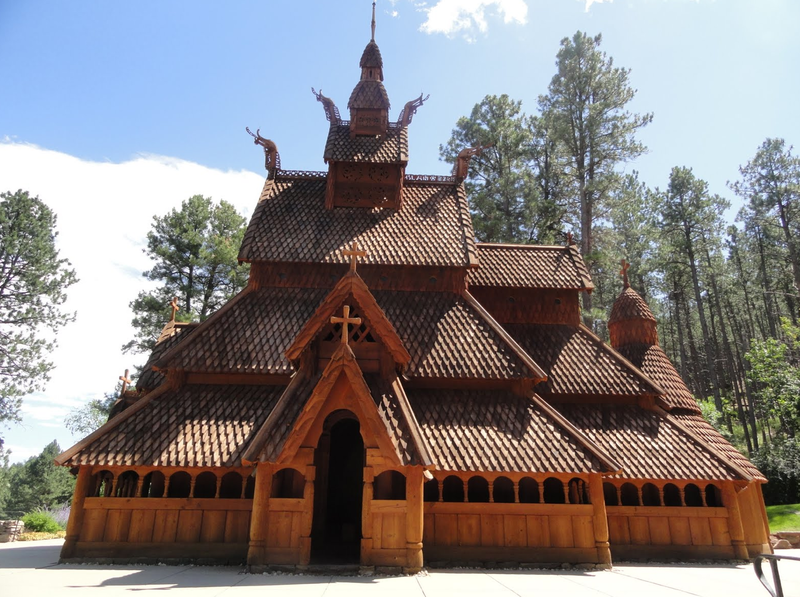 It is an exact replica of a stave church in Norway called the Borgund Stavkirke built about 1150. It was originally built as the home for the “Lutheran Vespers” radio program and completed in 1969. The radio program moved to their national offices in Minneapolis in 1975 and ultimately became a non-profit corporation using monies from donations, wedding fees and sales from the gift shop. The timber for their staves went through a special hardening process of two years where they were left standing, but had all their bark and branches removed. 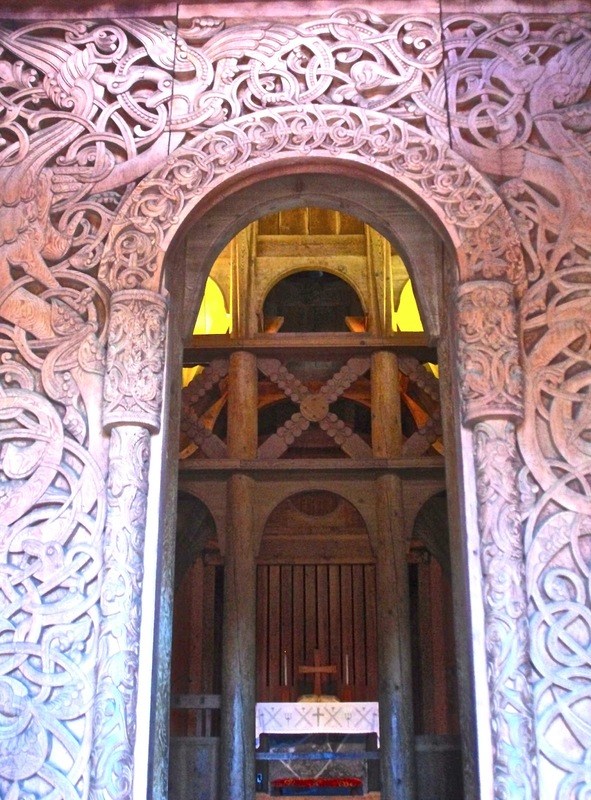 The Chapel has 16,000 hand-cut (with a saw!) shingles on it. 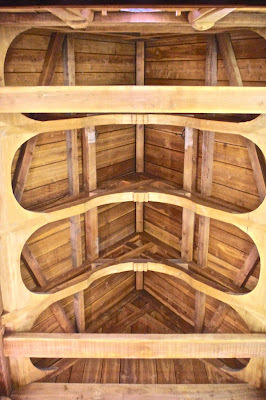 Standing inside the church, the ceiling is constructed like a Viking ship turned upside down. Pretty cool looking. 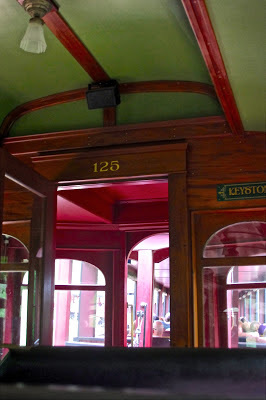 The side door is known as the women’s door (front door being the men’s door, of course!). 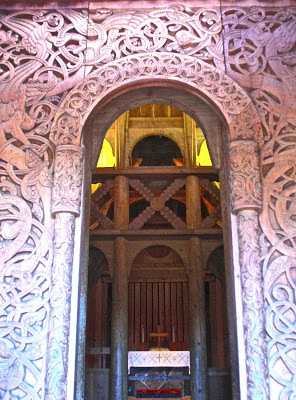 The door portal around this door is also a pagan sculpture. 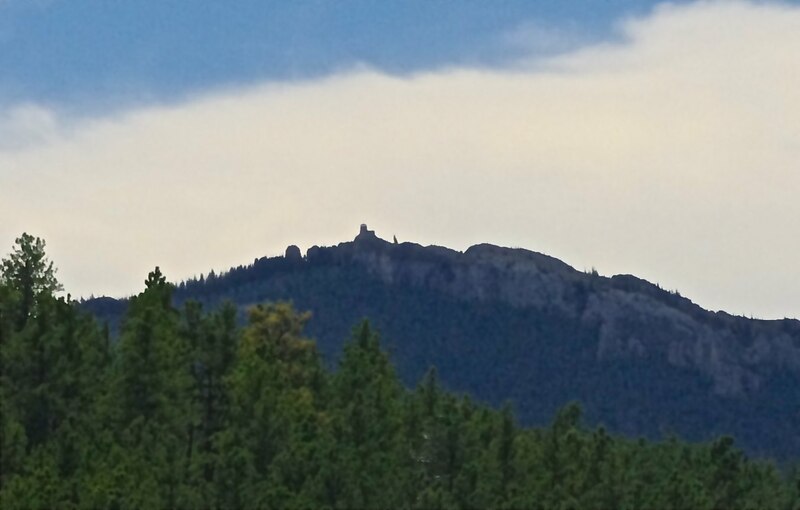 The top of it has carved lions and the bottom has heads of bear or wolves. 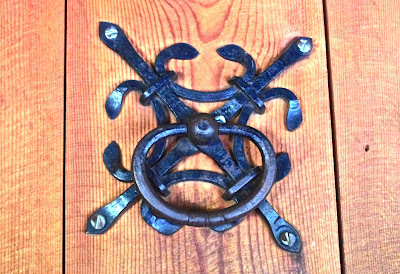 The door locks on the doors are also interesting (and cool iron work). The large ring on the front door served a dual purpose. 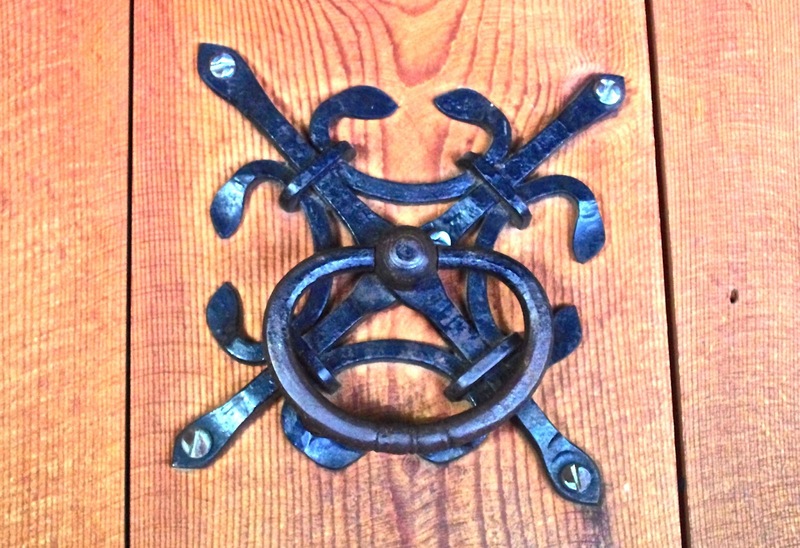 First it was a door knocker, but it was also known as a Sanctuary Ring. 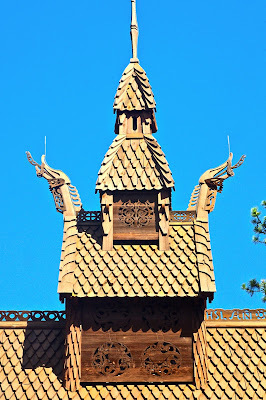 At the time the Borgund church was built, outlaws could be killed by anyone but if the outlaws could get to the church and grip the ring, no one could touch them. Folklore says many outlaws starved to death holding onto the ring! In addition to this beautiful little Chapel they had a small gift shop that has a sod rooftop, Norwegian museum and short prayer walk along a hillside with a few statues. 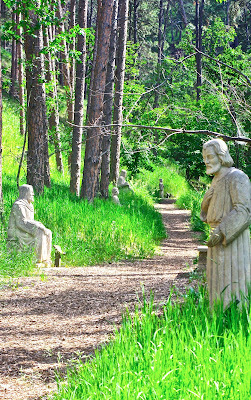 It was a lovely place to visit and quite enlightening as well. I’m glad we found it. 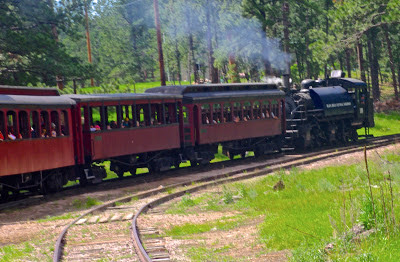 The other special treasure is a vintage steam engine train. Now if you know Jack and I at all, you know we love trains, so whenever we get the chance to ride an “old one”, we take it! 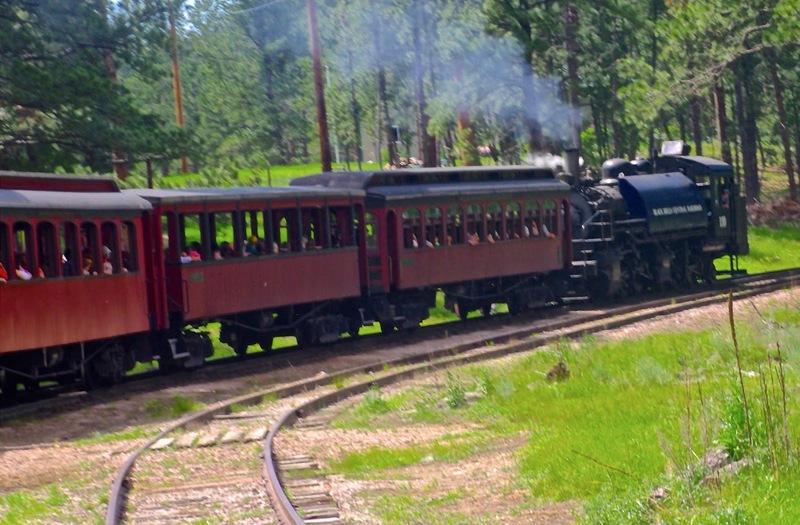 This scenic one is called the 1880 Train and it runs from Hill City to Keystone. It’s about a 2 hour, 20 mile round trip that winds through the Black Hills National Forest. 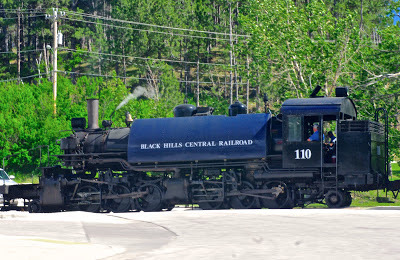 We rode the #110 which is a 2-6-6-2T (low speed locomotives commonly used on logging railroads) which is an articulated Mallet that was built by The Baldwin Locomotive Works in 1928 for the Weyerhaeuser Timber Company of Vail, WA and was retired in 1968. It is the only 2-6-6-2T Mallet in service in the world. During the late 1940s, diesel engines became more common than steam. 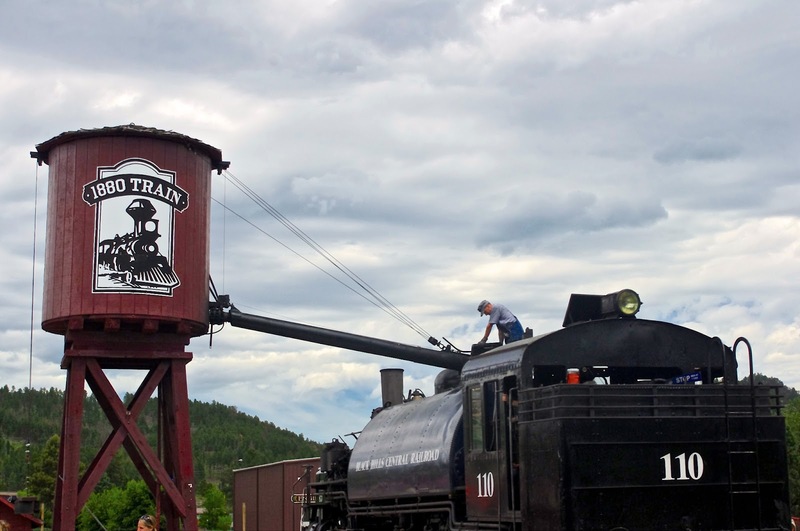 After years of declining use a public relations man with railroad experience, William Heckman, decided to start a railroad where steam was actually operated, and was not just relegated to static display. The first official train began operation in August, 1957. 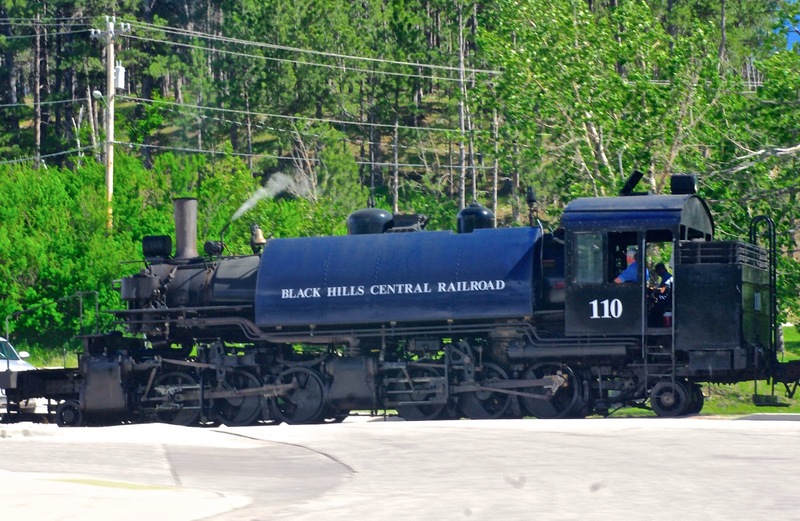 The route had been nicknamed "the 1880 TRAIN," as it was likened by Heckman to riding a train in the 1880s. 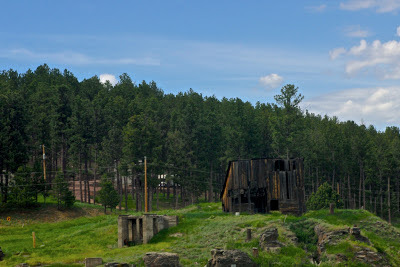 While not quite historically accurate (Heckman was never a rigorous advocate of historic accuracy), the dating of the operation stuck, and if nothing else, captured an illusion of the railroad history. As for us, our train traversed around one bend then another and we saw such sights as the Good Luck Tungsten Mine, Harney Peak (elev 7242) with it’s rock fire lookout tower outline on the very top, Indian Cliffs, old abandoned houses and pretty new houses, even a deer dashing through the tall grass. The ride was smooth and the whistle blew often. Big puffs of steam shown in the blue sky and I could see the beauty of that big engine ‘round each bend from my seat way back in one of the beautifully restored cars. What a lovely trip it was...scenic, relaxing and yes, reminiscent of another time.